This week marks two very important milestones for me, both personally and professionally. About 4 years ago the consequences of some poor personal choices had left me in a great deal of debt and was draining my monthly budget to the point that I was not making my monthly bills and barely had enough money to buy groceries. It wasn’t like I didn’t have a job; I had a pretty decent job that paid what I thought was ok money and that I, at that time didn’t hate… but I was so far behind the 8 Ball with debt that it was never going to be enough to get me out of it. I was left with some unappealing choices; declare bankruptcy to get out of debt, or pick up a second job to help pay down the debt… which of course would mean sacrificing having any semblance of a life and would still take me years to pay it all off. It really sucked… maybe some of you have been there before. It was around this time that I came across a site that a guy who used to run a professional wrestling site I used to follow had. He was talking about how he was now making really good money doing something called affiliate marketing. I had never heard of it before that and didn’t completely understand how it worked but… I was intrigued. I spent the next few months at my tech support job researching affiliate marketing. Reading articles, trying different things that didn’t work, reading Warrior Forum and just about everything else I could think of. Somehow I stumbled across a (now defunct) course called “Bring The Fresh”. It was $37 so it was a big financial risk for me at the time (seriously) but I decided to give it a try. I watched all the training and (this is important) I took action on it and did what it said putting up my first affiliate site (which still exists to this day though I haven’t touched it in years http://getridofcable.net). I used the software that the training told me to use and eventually got the site to #1 in Google for the keyword I was going after (I didn’t realize it at the time but I had no clue what I was doing)! I was making a few hundred dollars a month which seemed like an incredible amount at the time and it helped me gradually pull myself out of debt! This was in early October 2014… by the end of October 2014 the money had completely stopped. 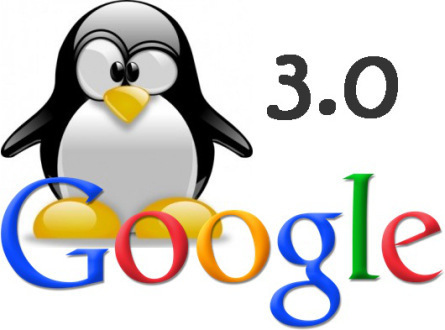 If you have been around SEO that long you know that October 17th 2014 was when Penguin 3.0 took effect. And my site took a massive tumble and the money stopped coming in… the worst part was that I had no idea that there even was such a thing as a Google algorithm, that it could change, or why it was named after a bird (I am still confused about this one). I was discouraged but I didn’t give up. 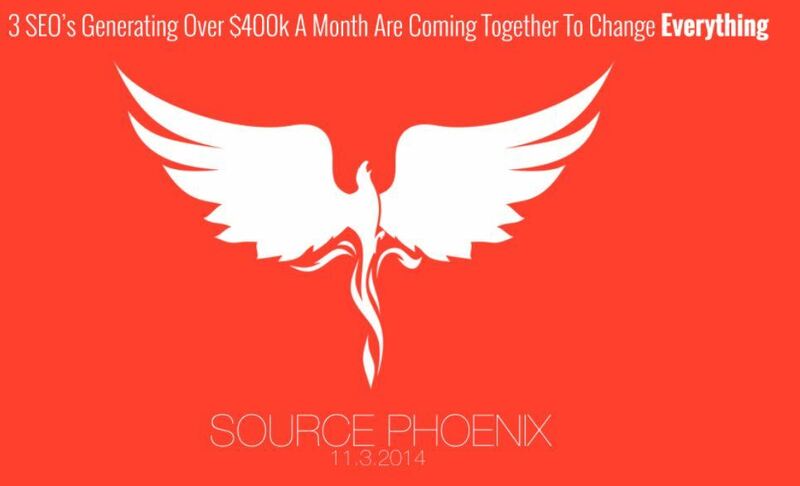 The next month the guy that created Bring The Fresh sent me an email about another course that was coming out called Source Phoenix… this course was $997 which was an astronomical figure to me at this point… but after much debate I finally decided to pull the trigger on it. This was a decent course that made me a bit of money and was the first time I had ever considered doing SEO for clients… but the most important thing it did was introduce me to some crazy guy named Alex Becker for the first time. I picked up a couple of (very) low paying client bought a bunch of tools and was making a little bit of money… but it wasn’t enough to be life changing or anything like that. In the summer of 2015 Alex Becker opened another product similar to Fiverr called Source Market (now Konker). I decided to put to use one of the tools I bought, Syndwire, and start selling the blasts for $5 to hopefully recoup some of the cost of the tool… what happened next blew my mind. I started getting a few orders, then more orders, then LOTS of orders. I added more services and most of them began selling too! I eventually managed to make friends with Alex and his partner Gregory Ortiz and they started showing my services in videos that they made and this brought me in even more sales. I was blown away… and started making more money and having more opportunities than I would have ever thought possible just a year before that… but I still had a problem… I was trying to balance this with my client work, my affiliate sites… but most importantly… my 40 hour a week day job. Even though I was making more money from my “side” job of internet marketing I was afraid to quit my day job and give up the security of a regular paycheck… so I had to find a way to balance all of it so what I did was stay at my office at my day job for hours after everyone went home working on my internet marketing business sometimes until 12am (when the alarm would activate and I would have to leave). This worked for a while but, as you can imagine it was exhausting. At this point my day job took a turn for the worse… they weren’t treating me very well and it was getting more and more miserable (looking back on it now I think maybe they knew that I had outgrown the job and didn’t want to be there anymore) in April 2016 I made a plan to quit and go full time IM in November 2016… but things there just kept getting worse and worse and, after talking to some of my friends, mentors, and my mother I eventually decided enough was enough. I sent my boss an email and told him that I needed to speak to him in private. He came down to my office and closed the door and I told him I told him “this job is hindering my success and I can’t afford to stay in it any longer”. That was May 18th 2016. One year ago this Thursday. That was the last time I thought of myself as an employee (even though I stayed on for a few more months while they found a replacement for me). I was excited and terrified all at once. But I started making plans on what I was going to do to scale my business and be the success that I have always felt I was destined to be. One of the things I decided to do the following weekend was to create as many references to my brand as possible so I set up all of the different social profiles and accounts I could think of. On May 20th 2016 I created a Facebook Group for my brand as basically an afterthought. I eventually decided to start inviting my Konker customers to join me in the group so I could get to know them a little better and learn how I could best serve them and the community as the concept of Right Livelihood is central to my beliefs. The year since these events has been better than I could have ever dreamed. I have gotten to know some amazing people and I hope have been able to help them on the path they are on. The people I am talking about here are of course every one of you. Each of you have been a huge part in my success and I can never express to you properly how much that has meant me to me. To celebrate these two big turning points in my life I am going to do my best to give back to you with the biggest discounts I have ever offered on all of my services (I am legit losing money on most of these).